Our Anti Moisture Powder is widely accepted in all types of plastic moulded unit & recycled plastic processing industries. Absorbing capacity of our Fine Anti Moisture Powder is very high as it removes moisture from the product permanently & gives new life & makes product surface very smooth. Anti Moisture Powder improves machine ability & reduces production cost. Our Anti Moisture Powder gives addition to the weight of the product. Some renowned desiccant master batch manufacturers use ANTI â�� MOISTURE POWDER for manufacturing their best quality product. 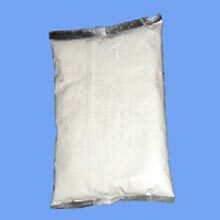 Today, we are counted among the key Soft Anti Moisture Powder Manufacturers and Exporters.